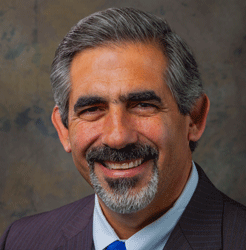 Mr. Quintana currently serves on the Board of Directors of Newmont Mining Company. Mr. Quintana served as the President and Chief Executive Officer of Tesco Corporation, from 2005 until his retirement in January 2015, and served on Tesco’s Board of Directors from September 2004 to May 2015. Prior to his appointment as President and Chief Executive Officer, Mr. Quintana served as Executive Vice President and Chief Operating Officer at Tesco beginning in September 2004. Prior to his tenure at Tesco, Mr. Quintana worked for five years in various executive roles for Schlumberger Corporation. Prior to Schlumberger, Mr. Quintana worked for nearly 20 years for Unocal Corporation, an integrated E&P company, in various operational and managerial roles. Mr. Quintana serves as Chairperson for the Nominating & Corporate Governance Committee and as a member of the Compensation Committee.